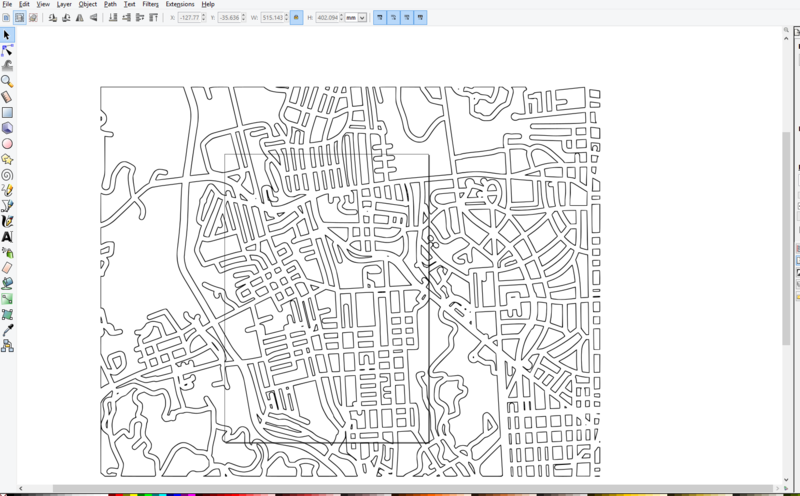 ...Which is why it's so INFURIATING that now, as I'm trying to do new maps, they're all outputting with far too many lines. I've seen this mentioned elsewhere, but the bug reports for it are all 3+ years old at this point and saying they fixed this in previous versions - I'm in the latest version (0.923) and the problem is ongoing. I really don't want to abandon all the work I've done, but I don't know what else to do at this point. Anyone have any ideas on wtf I do here? I've definitely made this work before, but I'm at a loss as to how to move forward. In that message, it was the cutting software which was adding the extra lines. It seems like the cutting software used was not the best. The user eventually found some options in the cutter software that would avoid the problem. But it sounds like you're saying that Inkscape is creating the extra lines. Is that correct? If not, what cutting software are you using? If the scale is wrong, that's probably a quick fix. Although I don't immediately see how to identify the scale (since I don't recognize the interface of the 2nd screenshot). 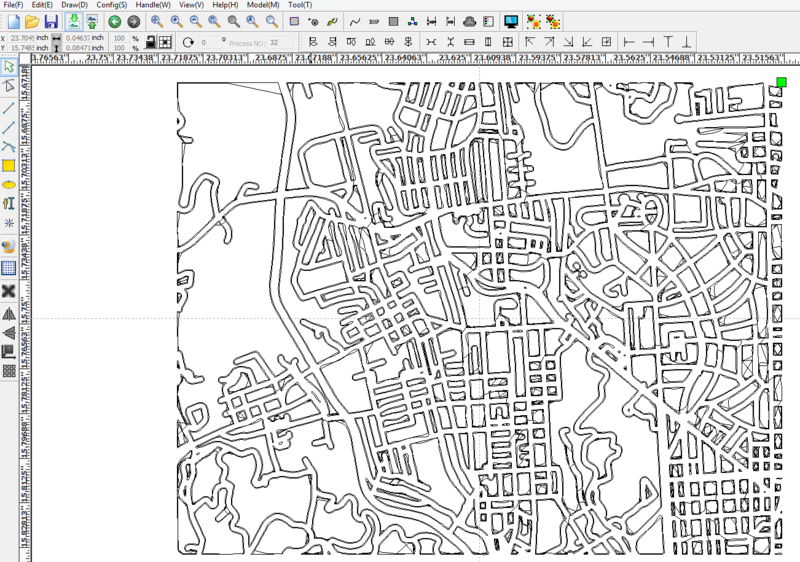 It looks like the cutting software is using inches, while Inkscape is using mm. But the extra lines would seem to be a mystery, at this point. Could you share the SVG file with us, so we can test?